I found an egregious error in your article. You omitted the fifth major league sport in the USA…Major League Soccer. Our local Houston Dynamo have appeared in four of the last seven MLS Cup championship games. And won the first two MLS Cups in their first two year’s of their seven year franchise history here in Houston. Your statistical research of futility for the four most historically aged major sports in America is good, but to purposely or inadvertantly dismiss the MLS’ facts is faulty. These facts let the air out of your argument entirely. Brad, I thought about including MLS in this tally, and you’re right that if you do that leaves Houston out of the most-cursed group, since the Dynamo won those two Cups. I don’t think MLS has the same reach as the other sports in these cities, and the fact that the Dynamo won in their first two years here means that there wasn’t a shared sense of history for them at the time they won. Had they won this year, after being a part of the scene for some time and having their own stadium built and all, or if they win next year, then I’d give your argument more weight. But at the time I don’t think those two MLS Cups did much to alleviate whatever suffering that Astros or Texans/Oilers fans had felt. It’s all of course totally subjective and your mileage may vary, but that’s how I saw it. Thanks for the reply. I do appreciate the subjectivity and difficulty to compare apples to apples. 1) The Dynamo, I think, outdrew the Astros in attendance last season. 2) MLS Soccer outdrew the NHL in average attendance last year. 3) The Houston Oilers franchise won the first two AFL championships and went to four of the first eight AFL championship games. The AFL was a rival major football league to the NFL and as we know merged with them in 1970. 4) The Houston Aeros of the World Hockey Association won 2 AVCO Trophies and went to the finals 3 of the 6 years of the WHA. WHA was a rival major hockey league to the NHL and as we know merged with them in 1979. All of this depends on what sports the fans really follow. I can’t think of anything more boring than soccer. And although I consider the NHL and NBA major sports, sports in Houston has really centered on the Astros, Oilers and Texans. And all three of these teams have been dreadful, especially in clutch or playoff situations. 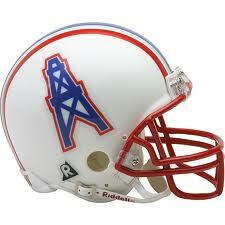 When the Oilers did have some success back in the early ’60s, the AFL was little more than a minor league for the NFL. Same thing when the Houston Aeros were in the WHA. The WHA was the NHL’s inferior competition. The Astros nowadays are so lousy that they really can’t be considered a major league team. They play against major league teams, but in reality the team is made up of players who would be in the minor leagues with any other franchise. As for the Texans, they always look good….until they come up against a real contender and then they promptly fall apart like a cheap accordion. Houston is definitely a cursed city when it comes to sports teams.